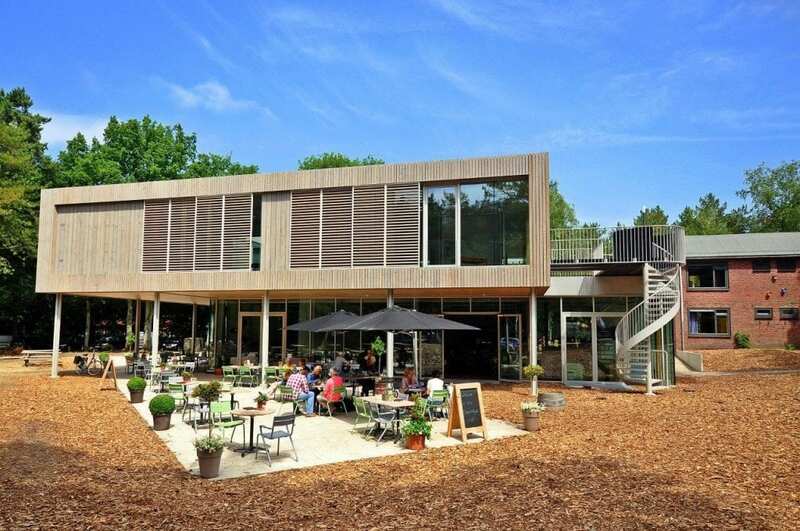 In cooperation with StayOkay Bergen op Zoom, better known as the home of the skydivers, it is now possible to stay overnight in a nearby location. StayOkay has made a special ISR offer for all the pro’s and teams of Indoor Skydive Roosendaal. During your stay at StayOkay it is also possible to book a barbeque or a 3 course menu. Bergen op Zoom is just 10 minutes by car. Stayokay Bergen op Zoom is located in the heart of a large green expanse of woodland. The reception building offers a friendly bar and a reading table. The hostel’s rooms are housed in a separate building and each room has its own shower and toilet. In the restaurant, located on the centre of the hostel ground, the chefs are happy to prepare a special menu for you on request. Directly adjacent to the large outdoor playground, you can also find twelve holiday cabins, each with its own kitchen and bathroom. Single room € 35,00 p.p. Double room € 27,50 p.p. Room for 3 persons € 22,50 p.p. Room for 4 persons € 20,00 p.p. Room for 6 persons € 20,00 p.p. Room for 8 persons € 20,00 p.p. 3 course menu € 15,50 p.p.